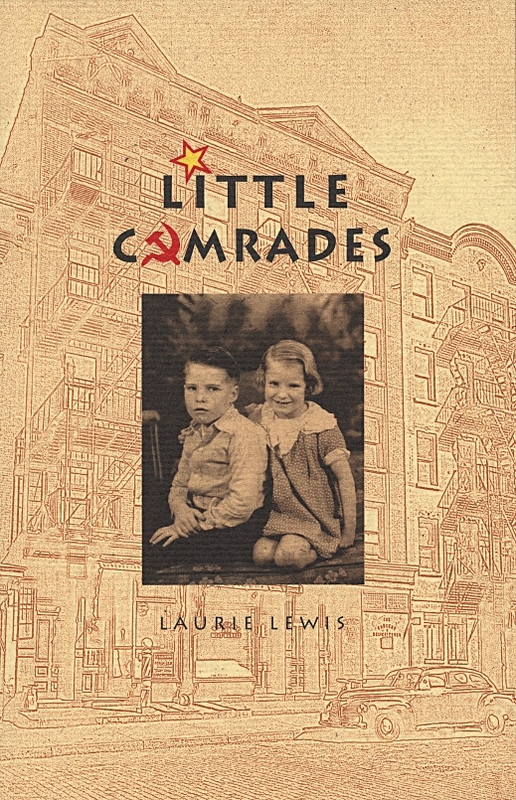 Little Comrades tells the story of a girl growing up in a dysfunctional left-wing family in the Canadian West during the Depression, then moving, alone with her mother, to New York City during America’s fervently anti-Communist postwar years. With wit and honesty, Laurie Lewis describes an unusual childhood and an adventurous adolescence. Laurie Lewis’s memoir begins with her child’s-eye understanding of a family life based on love, fear and lies. Her frightening father, who believes his children need to be beaten for their own good, is an important man in the Alberta Communist Party; her mother, a committed Party member, tries to protect her children from his alcoholic rages and maintains the pretence that everything is all right. Laurie watches her brother’s anger, her mother’s unhappiness, and learns to keep secrets -- her own and other people’s. For a time she and her brother are sent to live with strangers. They are not told where their parents are, because her father is in hiding from the RCMP (who are looking to arrest Communists). When she is fifteen a new life begins as her mother leaves her marriage and takes Laurie with her to New York City. Laurie now discovers the delights and difficulties of rundown but cheap apartments in Little Italy and Greenwich Village. Her mother finds work as an editor and writer, meeting many left-wing artists, and there are eye-opening experiences with men -- for both mother and daughter. Then at sixteen Laurie spends a summer waiting on tables at a socialist resort, where she finds a serious older boyfriend who is much too bourgeois, according to her politically radical mother. With wit, pathos and blistering emotional honesty Little Comrades tells the story of a girl growing up in two countries in a bewildering time of transition and new freedom for women. ‘Gertrude Stein said, "Communists are people who fancied that they had an unhappy childhood". In Little Comrades, the author doesn’t fancy she had an unhappy childhood; she did. From birth, Laurie Lewis and her older brother were thrust into Communism because their father was a high-ranking official. She was fearful and confused amidst the burgeoning movement in Canada during the 1930s, and lived in a chaotic household fueled by her father’s alcoholism. Unknowingly participating in illegal party activities, and subjected to a nomadic lifestyle, Lewis survived the sometimes abusive childhood created by her parents, Ellen and Lawrence. ‘Her memoir is divided into two parts: the first focuses on her life in Canada, and the second chronicles her move, at sixteen, with her mother to New York City. In the first part, Lewis’ early memories are dispensed in fragmented paragraphs that establish a disjointed narrative; they’re frank, but nonlinear, which detracts from the emotional impact of her story. Once she and her mother arrive in New York, the narrative becomes much more concise. Ultimately, their relationship takes priority over the theme of Communism in the book, engaging the reader on a deeper level. ‘Although the time line is confusing, Lewis ably presents the hypocritical aspects of having Communist parents. For instance, the kids address their parents on a first-name basis and regularly converse with adult comrades. But they also have to obey their parents’ decisions without question, only to suffer punishment for any perceived failure. Expected to be an adult and a child simultaneously shapes Lewis into a young adult before she is ready and sets up a bizarre sexual relationship with the male comrades she meets, including her mother’s lover. ‘The fact that the family moves constantly initially prohibits Lewis from making many female friends, so her mother becomes her confidante. Their life together in New York is fascinating, filled with politics and brushes with celebrity. This is also where Lewis finally grows into herself. She is allowed to take advantage of her own intelligence and develop friendships outside of her mother’s circle. The stories in this collection are affecting and beautifully crafted. One of them was a runner-up in the CBC Literary Contest. My personal favourite is ‘My Father and Lillian Gish,’ a disturbing portrait of an abusive, troubled man. In describing the family he came from, she writes, ‘He was the smartest of the lot too, which he interpreted darkly, wondering where his sharp mind had come from. He suspected his mother of everything but that. Adultery, yes, but not intelligence, never that.’ Little Comrades may be Laurie’s first book, but it won’t be her last. This book is very personal and could not have been easy to write. The story is told with a deftness of language that reveals the pathos and joys of an unusual life. As Laurie charts the family’s moves from place to place (too many moves to track) and recounts later experiences -- she is older, but still a child -- the narrative becomes a series of cautionary tales each carrying consequences and in this case a way forward. ‘I knew what a hole would do to a person, how you would never get out, but spend your whole life wetly in the echoing dark . . . I discovered a power in knowing something secret . . . and in that space of ‘‘not telling,’’ I found a person that might be me.’ Little Comrades truly is worth reading for its poetic language and its story. These are the truthful, intimate memoirs of an incredible growing-up during the Depression Era, World War II, and McCarthyism. A unique view! Lewis was indeed different, and while it caused her no end of strife it makes a great story. Between the beatings, poverty, Party meetings and politics, Lewis’ childhood is like few you’ve heard about before. If you’ve ever despaired that your life is passing you by, that you’ll likely never accomplish the things you thought you might, meet Laurie Lewis. 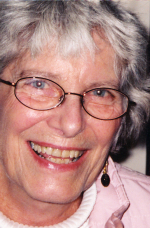 She just published her first book at 80. "I didn’t feel the need to nor did I have the time," confides the slim, pretty author, whose memoir, Little Comrades, was released this summer. "I was always scrambling for money. As a writer, you can scramble for money all your life if you’re alone, but when you have children, you can’t." She also didn’t feel free enough in spirit. "I was really quite frozen," she continues, leaning over a table in a downtown Toronto cafe. Girlish is how one might describe her, the easy manner and quickness of laughter, the bright sparkle of her blue eyes. "It’s astonishing, amazing," she says with a giggle about her new status as a writer. In the acknowledgments of her book, she writes that the day her publisher, Tim Inkster of The Porcupine’s Quill, said yes to her manuscript "was the beginning of a new life for me". Does she feel liberated by the fact that so many people from her past are dead? "Oh, yes, that helps," she says with a broad smile. Music is also everywhere in New York on these exhilarating postwar days and nights, arias from operas and jazz pouring from open windows as Laurie begins to distance herself from her close bond with her mother. Which makes the collision of the personal and the political that occurs at the end of this remarkable memoir so grand and electric. 1. How does Lewis construct and interpret her girlhood self through language? Consider the way she begins and ends chapters, and the way she divided her memoir into different parts. How do the different parts of the memoir build upon each other? 2. Although many parts of the memoir are extremely detailed, Lewis thanks her ‘adolescent haze’ when being interviewed by the FBI and in the same scene uses the phrase ‘a kid’s memory’ to suggest a lack of accurate memory of the events occurring around her at the time. How does Lewis view memory in Little Comrades? How does she manipulate memory, both in the literary sense of her memoir and in the political sense of protecting Communist friends and relatives? Can you detect a theory of memory underlying Lewis’s memoir? 3. How does Lewis’s understanding of family change over time? Do all families have secrets? What, apart from genetics, puts some people on the inside of a family and others on the outside? 4. ‘Secrets about family life, by which I mean drinking or violence, became connected to political secrets. The truth would reflect badly on my father, so these things, the drinking and the violence, were political secrets, not ever to be mentioned.’ Why does the Communist Party encourage a feeling of family amongst its members, and how does this affect the biological families within the Party? Is the family always political or does it only become political under the influence of activism? 5. What does Little Comrades have to say about idealism? How does Lewis feel about idealism? By the end of Little Comrades, do you think that Lewis more of an idealist or a realist? 6. Discuss the relationship and conflict between political activism and gender activism in Little Comrades. Consider Lewis’s personal experiences as a young woman growing up amongst Communist activists. How do different causes intersect? 7. How does Lewis’s mother’s behaviour propel or influence Lewis’s own life? Do you think Little Comrades is the story of Lewis’s drive to become independent and free of her parents, or is it Lewis’s attempt to come to terms with or connect with her parents? 8. What role does location play in Little Comrades? How do different apartments and cities influence Lewis’s behaviour and emotions? 9. What is Lewis’s relationship with poverty? How do various people -- lovers, friends, Party members -- regard Lewis after viewing her living arrangements or financial state? Secrets about politics were always there. From the time I was four years old I knew that my family was different. Knew that I wasn’t to talk about things to people I didn’t know, people my parents didn’t know, kids at school, teachers. People who weren’t part of the Party. I grew up with the Party in my head. 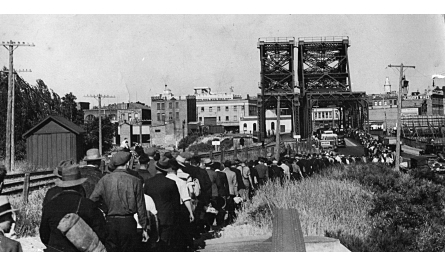 It meant the Communist Party, the way the Movement meant the Labour Movement, working people and those who were involved with organizing unions and helping working people. My parents were part of that. They taught me not to talk about what I might hear at home or at meetings. Not talking to strangers meant something special in our house, it meant watch out for the RCMP. My father was away for about a couple of years. We kids got in trouble when my mother went out at night to a political meeting, because Andy and I would get into a fight. We always fought, but I never really knew what it was about. Nothing, probably. Boy/girl. Eight/six. Worlds apart. The landlady had to come in to make us be quiet because we were hollering and yelling, and when my mother came home she gave us the very dickens. You should be ashamed of yourselves. What will people think of you? What will they think of me? You know how you are supposed to behave. I’m ashamed of you. It’s up to you to be responsible well-behaved kids when I’m out at a meeting. That’s the least you can do for the Party. The political work was very important. Andy and I knew that. Our parents were the vanguard of the working class. They worked all the time. Going to meetings, to protests, distributing leaflets, organizing people, trying to raise money. When you’re in the Party you dedicate your life to this work -- the work of helping the poor. Of leading them to a better life, leading them to socialism. Secrets about family life, by which I mean about drinking or violence, became connected to political secrets. The truth would reflect badly on my father, so these things, the drinking and the violence, were political secrets, not ever to be mentioned. Not by us, not by my mother. These are words children know: smack, whack, spanking, licking, whip, punch, beat. We understand each word precisely: the difference between a licking and a beating is the implement used and the part of the body affected. A licking is done, is given, with a leather belt usually, although a razor strop can also serve. A licking is on the buttocks and back of a child. If you have to take your shirt off, it’s a whipping. A whipping is deliberate. It has to be planned. The implement must be grasped. A beating is done with the fists and is usually performed on the front of the child, often about the head and face; the two people face each other, clearly see each other. A beating comes from temper, from anger. Boys are beaten more often than girls. Andy and I knew all of this. I saw the first time Andy got beaten, the first time my father’s open hand closed into a fist, the first time the whack on the face changed to a punch. Andy answered back, that’s what caused it. Well, he knew better, so why didn’t he keep his mouth shut, like he always told me to? I think my father was surprised too. My brother, later, remembered almost none of this. I was the small observer in this house, the one who saw everything. It was 1938 when my father came home from two years of study in the Soviet Union, sent home because of the war everyone knew was coming. My mother, my brother and I moved to Edmonton and he came there to meet us there. We were staying in a couple of furnished rooms. But my mother hadn’t been able to get an apartment yet -- she had no money, of course. First day home, excitement and getting to know our father again. He brought a brooch for my mother -- some kind of smooth Russian mineral, and a book. The book was Tom Jones, the story of a ‘worker hero’ by Henry Fielding, published in the Soviet Union, in English. The memory of what gifts he brought for us, his children, has died of neglect. We gathered in the living room to praise the returning hero. He told us what he learned in the Soviet Union: peevo, beer. Spaseeba, thank you. Nyie gahvaroo paruski, I don’t speak Russian. Nyie paheeymayoo paruski, I don’t understand Russian. With two years’ practice, he said peevo very well. And wodka. That should have been a warning to us. My mother’s unique perspective on being the daughter of communists gives a vision of growing up in a world that she believed was flawed, but that her parents, brave souls that they were, were going to fix. But because it is through the eyes of a child, the reader can see the fallacy in the arguments, the hope, the lies and the pain. But children don’t understand the broader context of their experience, so you build the story through the slant of their experiences. It was also a time of family violence and early women’s liberation. Little Comrades is an important personal and political memoir and at the same time a touching, unusual mother-and-daughter story. While the New York chapters are especially engaging, the whole book exudes a real freshness and relevance, reminding us that the past was always modern in its own way.